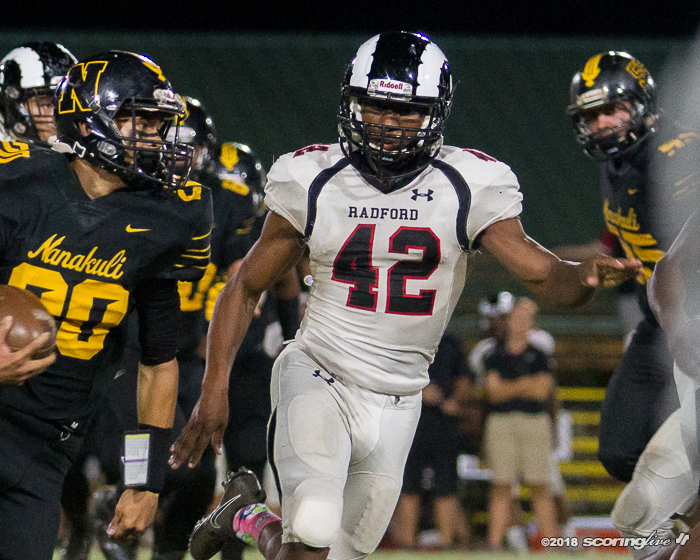 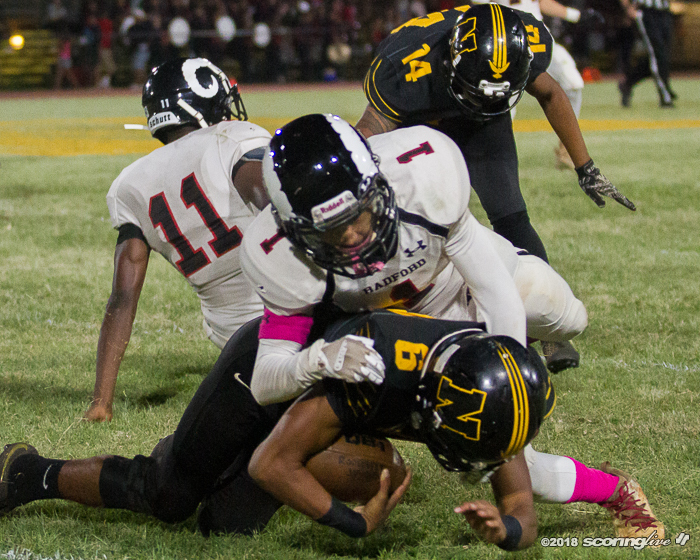 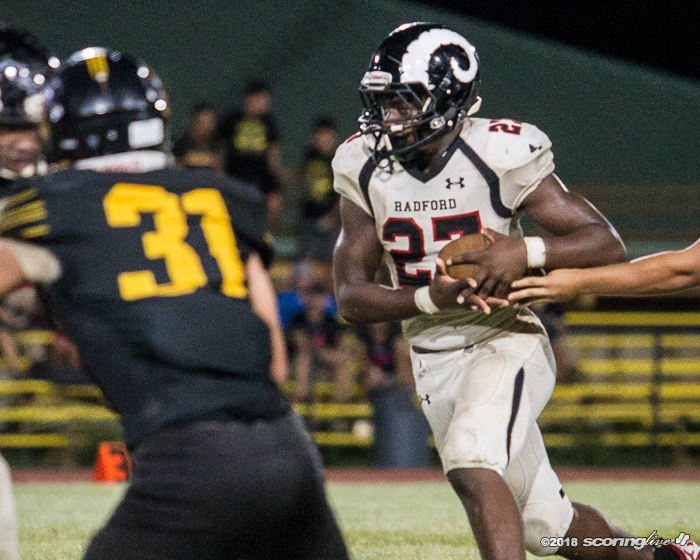 Radford running back Danneh Alpha didn't start against Nanakuli Friday night, but he sure did finish in style. 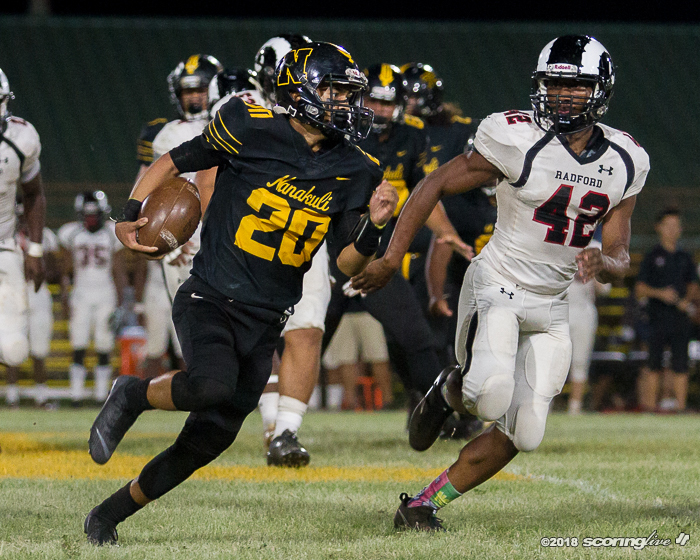 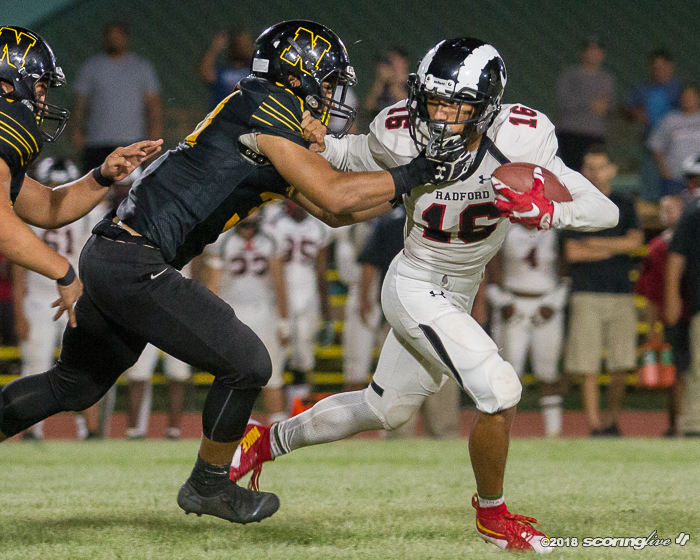 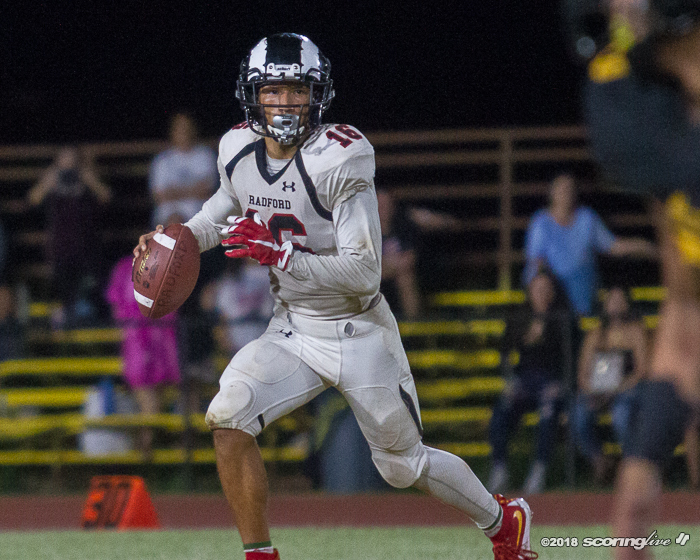 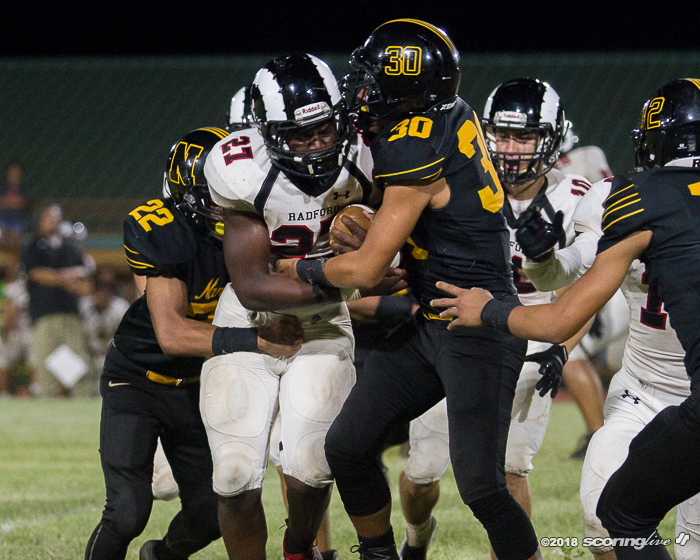 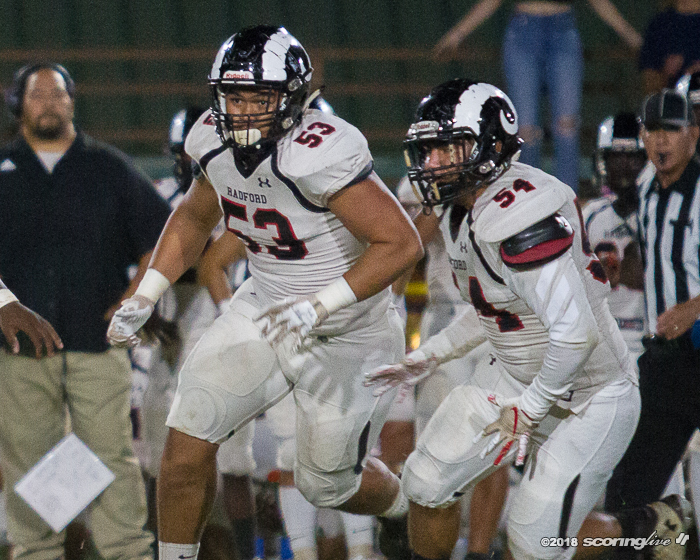 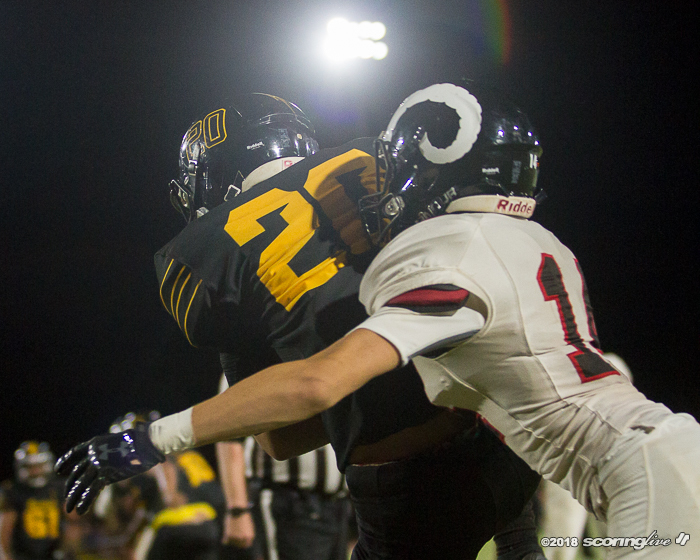 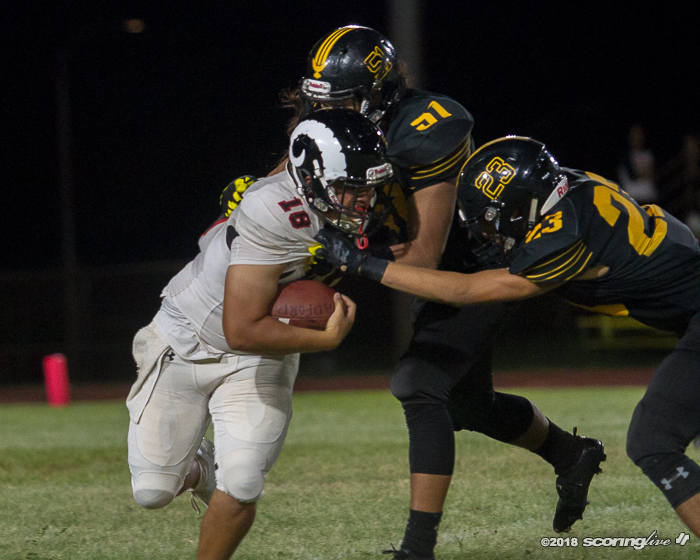 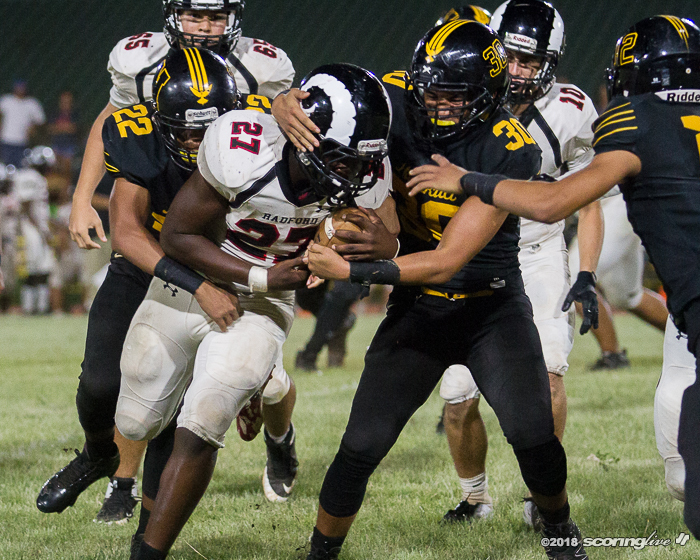 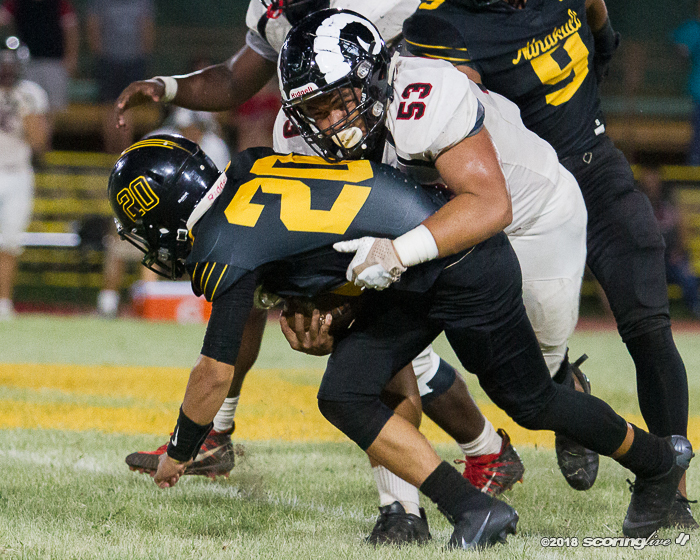 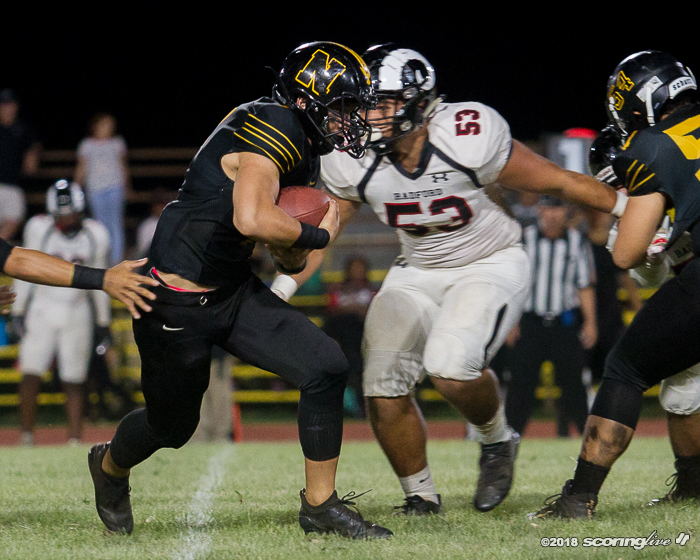 Alpha ran for a season-high 118 yards and two scores on just 11 carries — all coming after halftime — to help the Rams rally past the Golden Hawks, 29-22, in an OIA Division I contest. 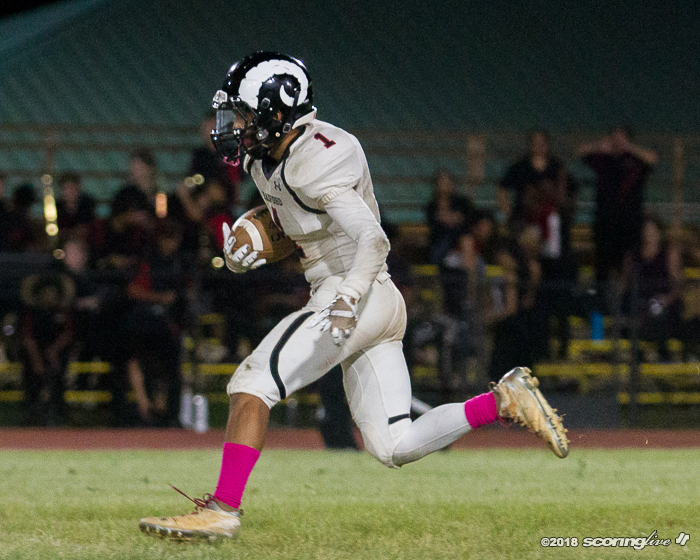 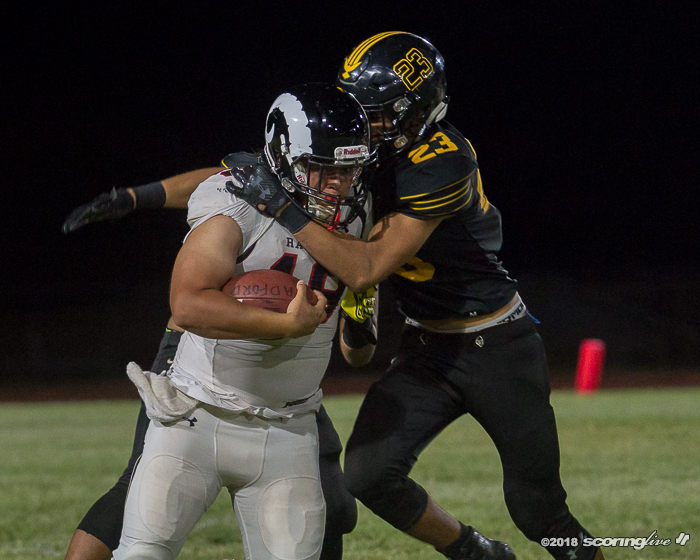 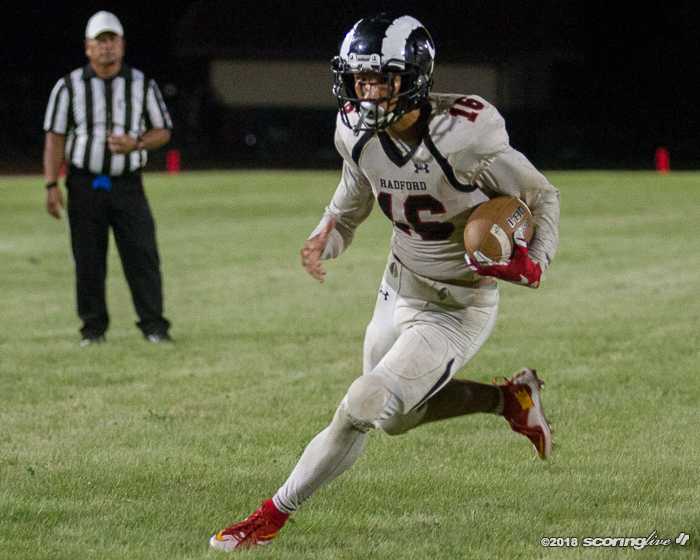 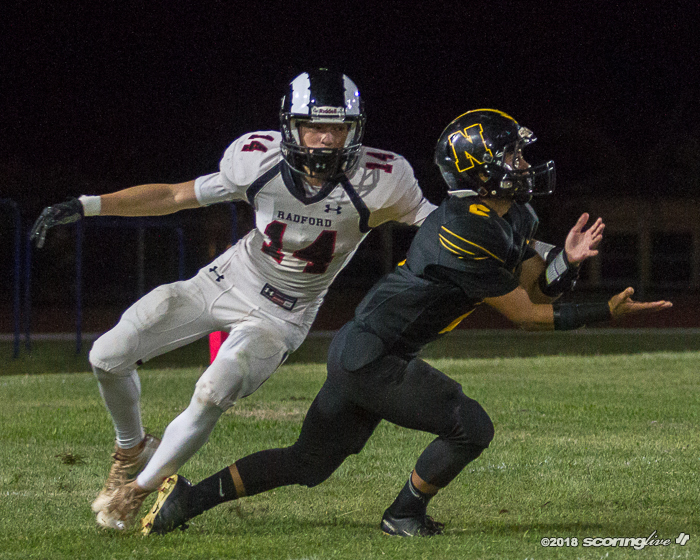 The junior RB scored on a 12-yard run on Radford's first drive of the second half and scampered 59 yards down the right sideline for the go-ahead TD in the fourth quarter to help the Rams improve to 2-7 overall and 2-4 in league play. 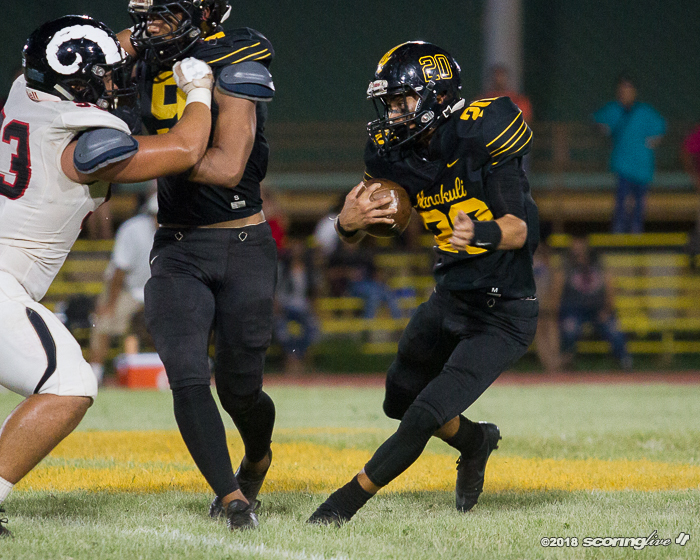 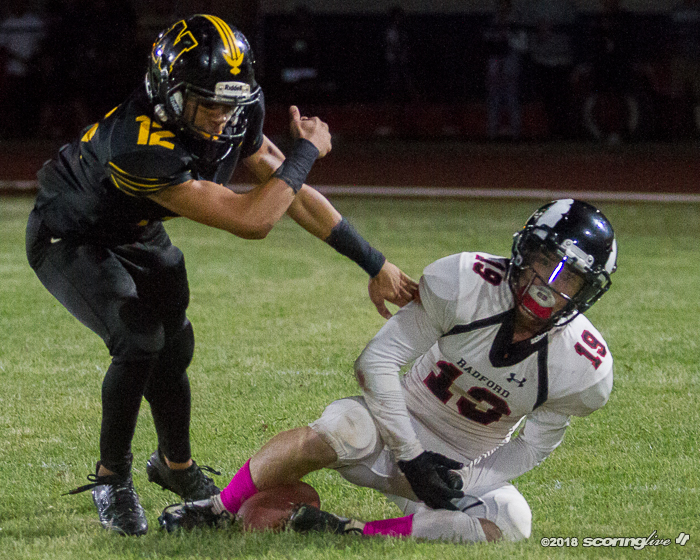 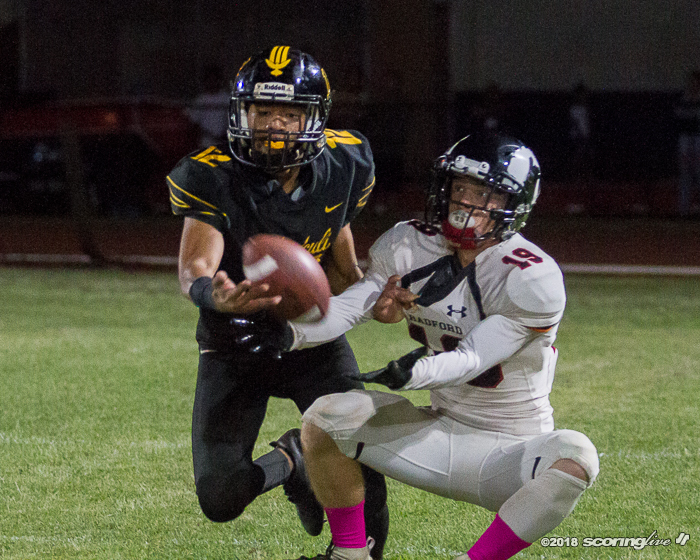 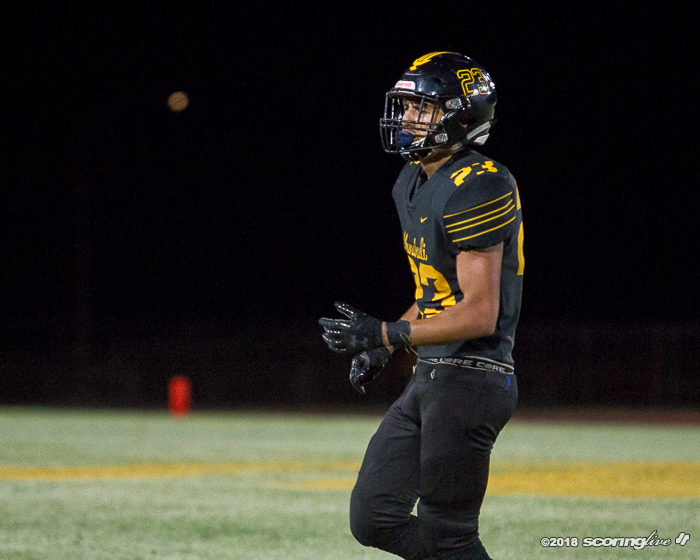 Alpha's game-winning score was on the first play of scrimmage after Nanakuli's Shayden Arindain-Pojas returned a punt 77 yards to give the Golden Hawks a 22-21 lead. 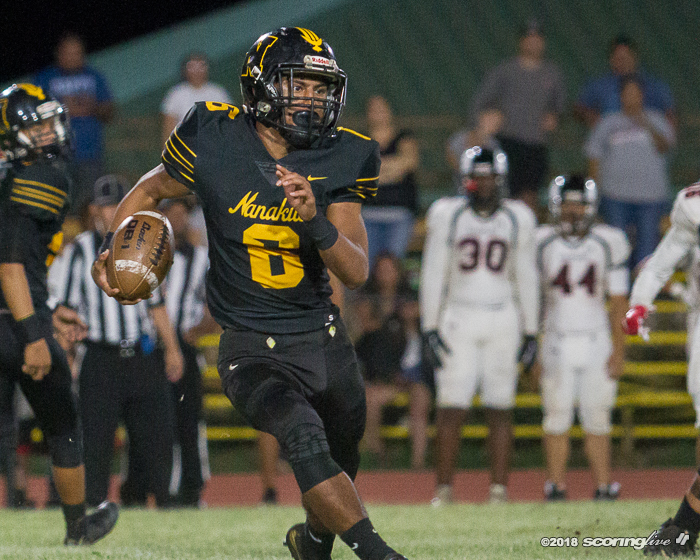 Quarterback Matai Suitonu accounted for the two other Radford TDs, throwing a 3-yard TD pass to Carson Dean for the first score of the game and turning a broken play into a 8-yard TD run in the third quarter. 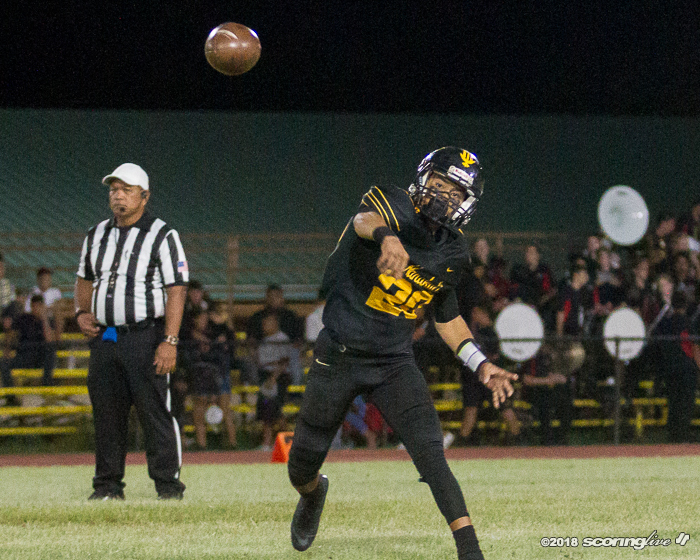 He also threw 2-point conversion passes to Tavian Bryant and Dean. 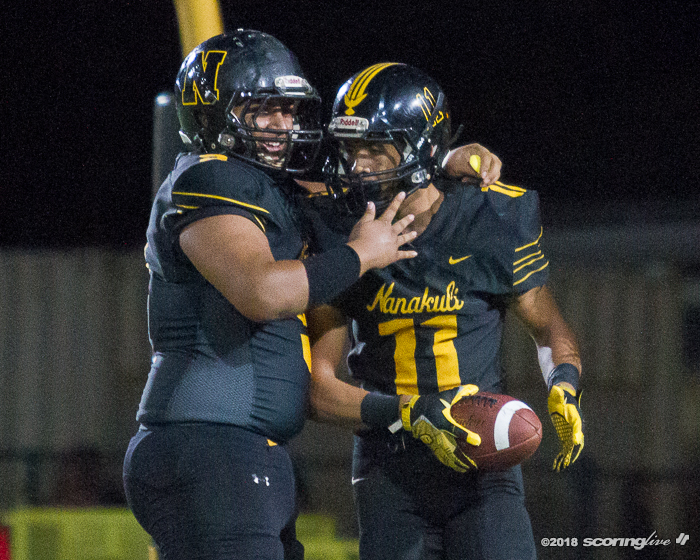 Lexsen Kunakau scored on a 45-yard run and caught a 3-yard TD pass from Aalona Aleka to lead the Golden Hawks, who led 15-7 at the break. 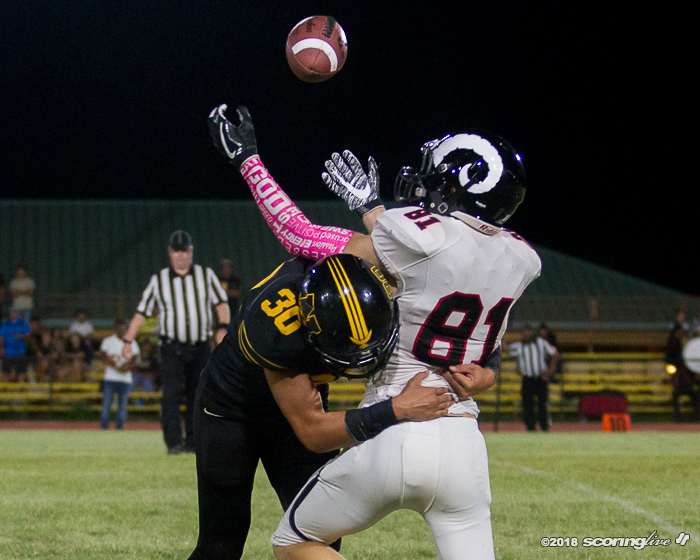 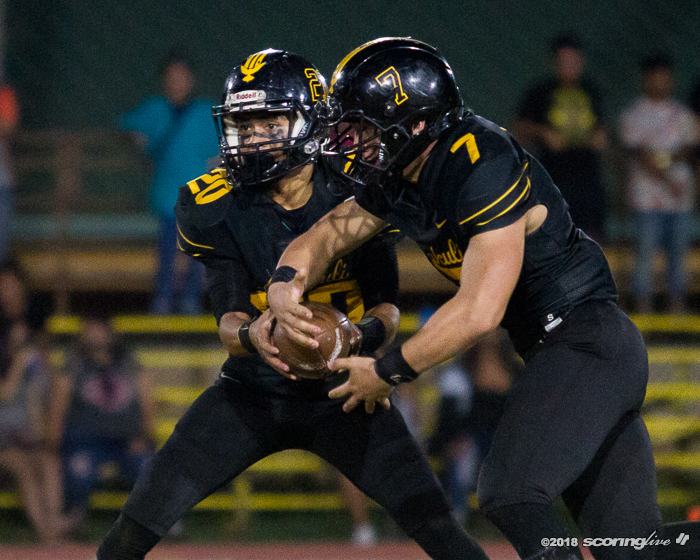 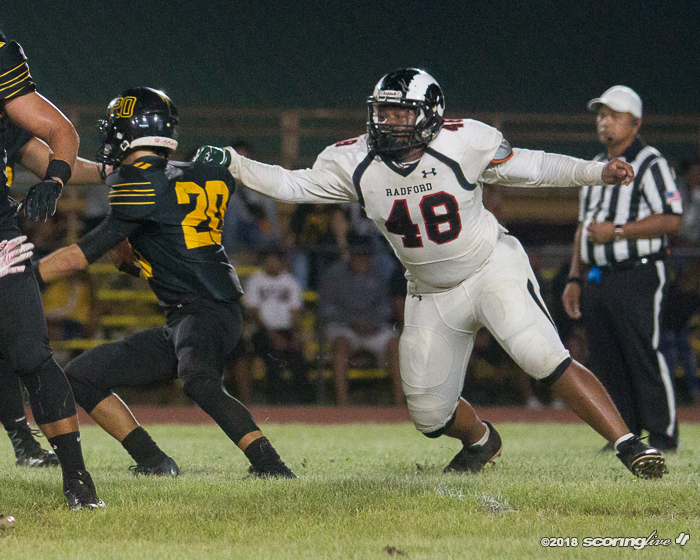 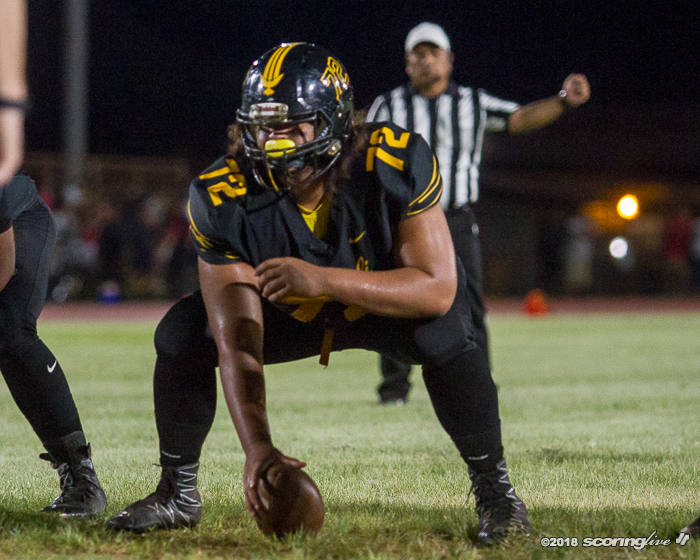 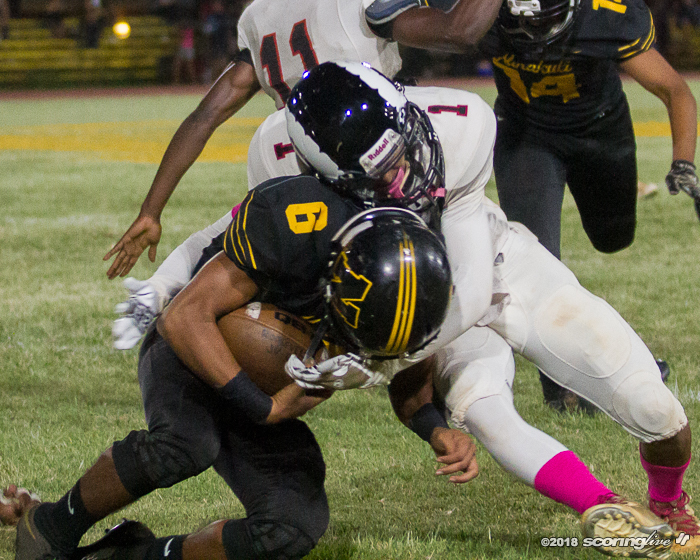 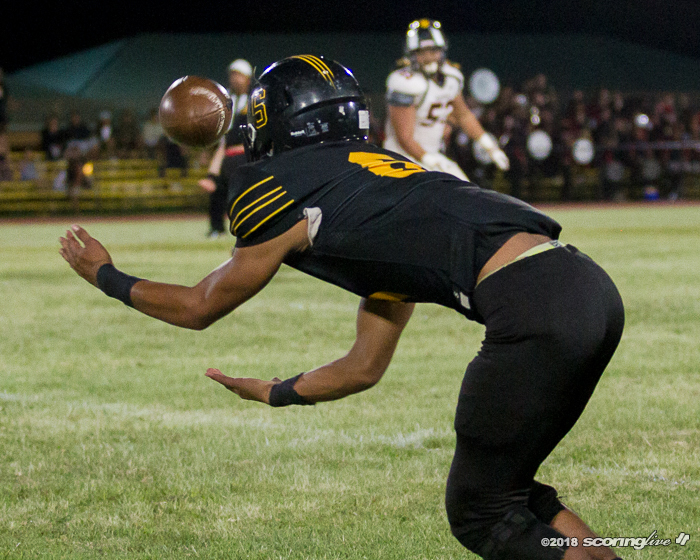 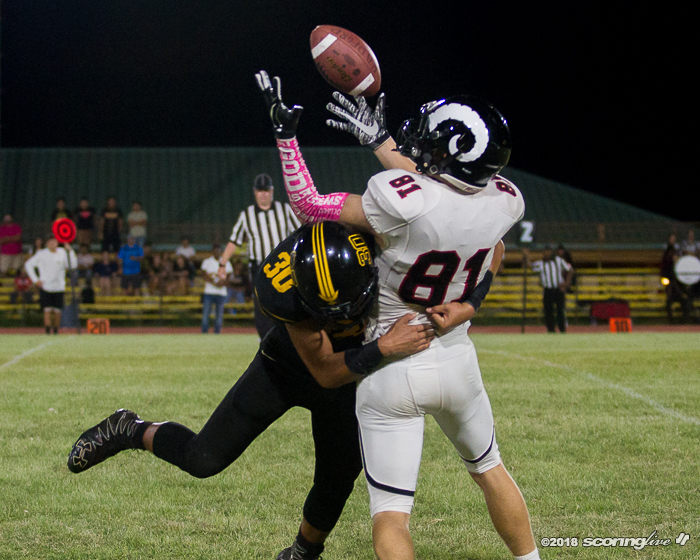 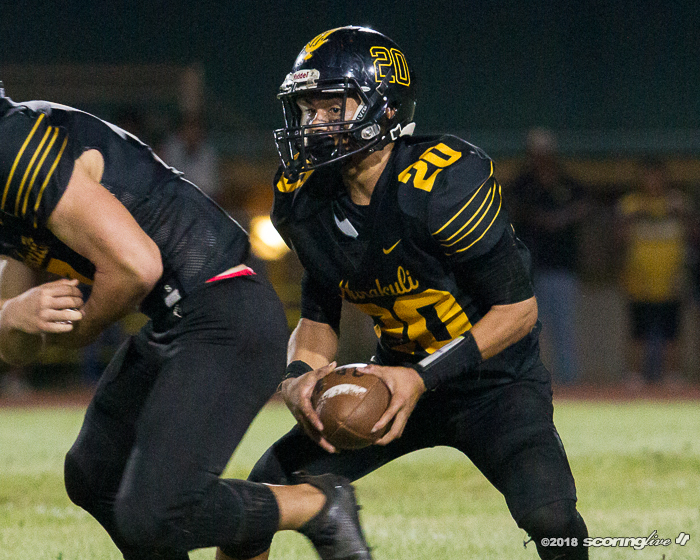 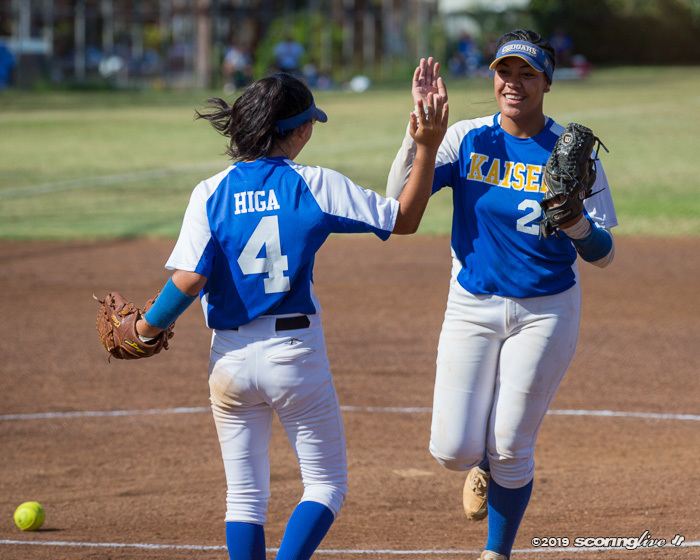 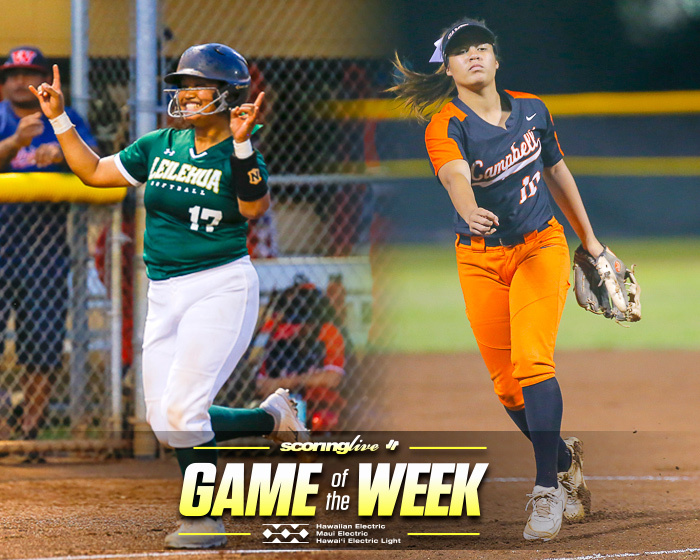 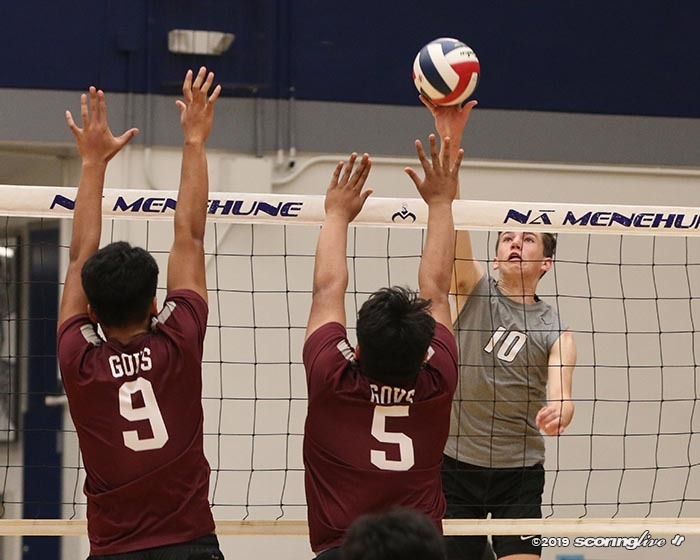 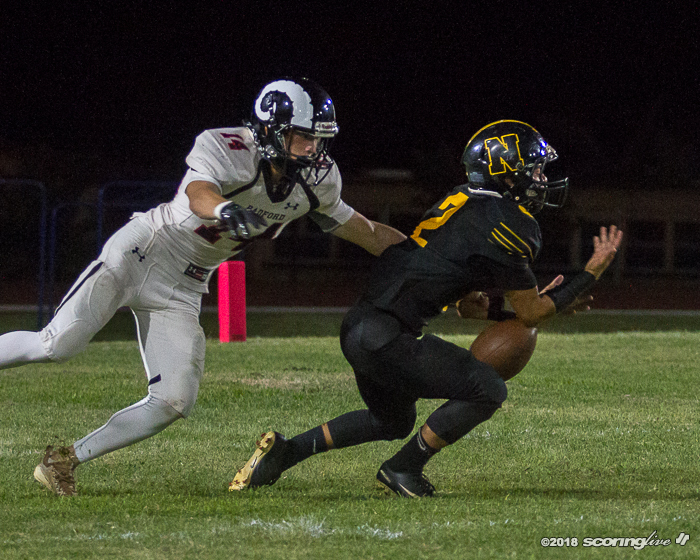 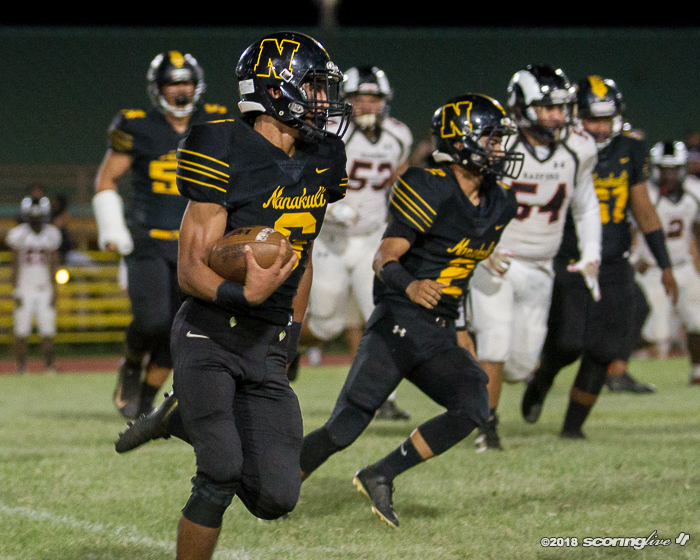 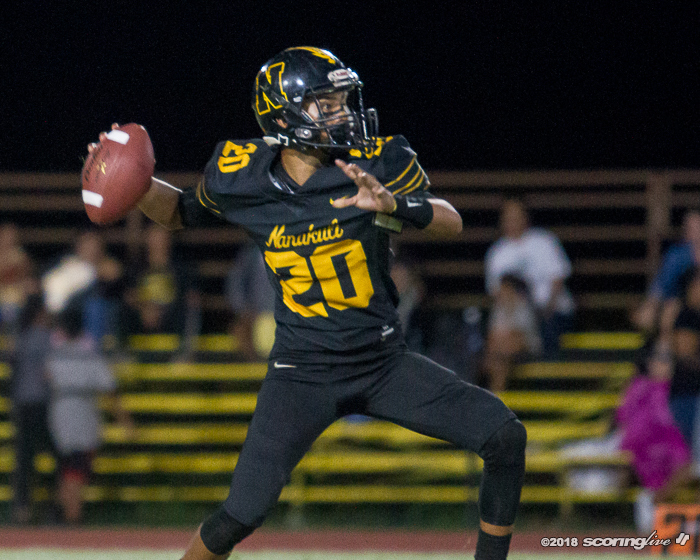 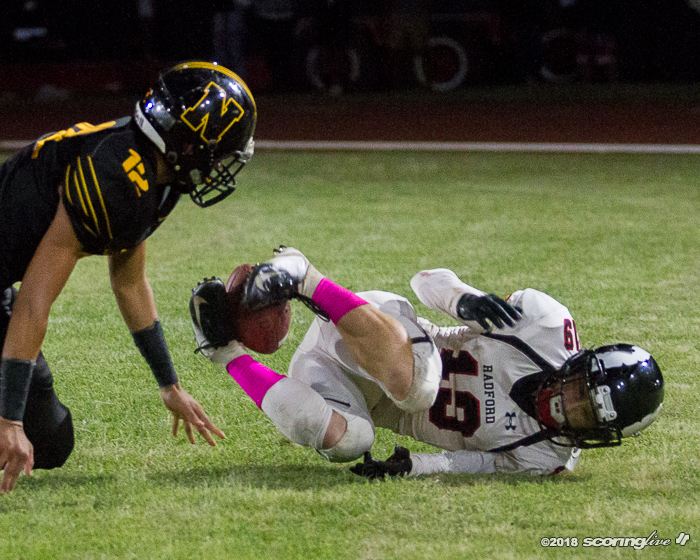 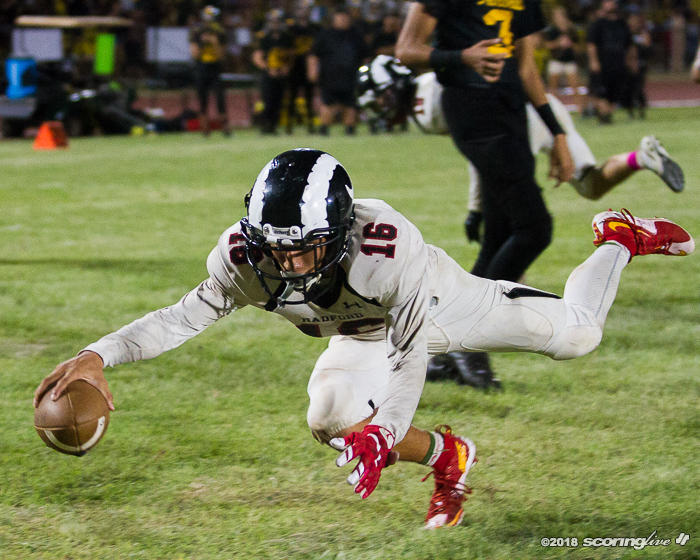 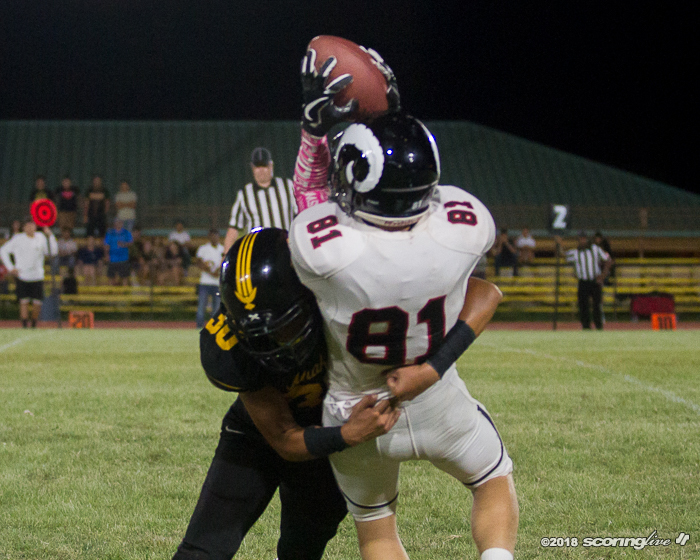 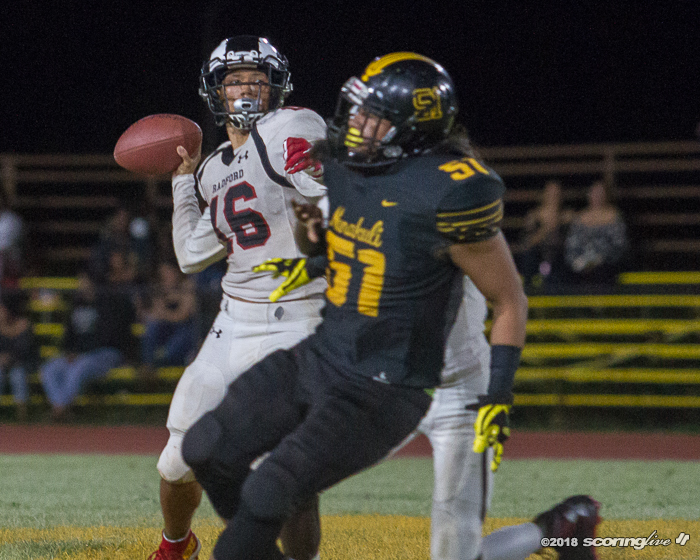 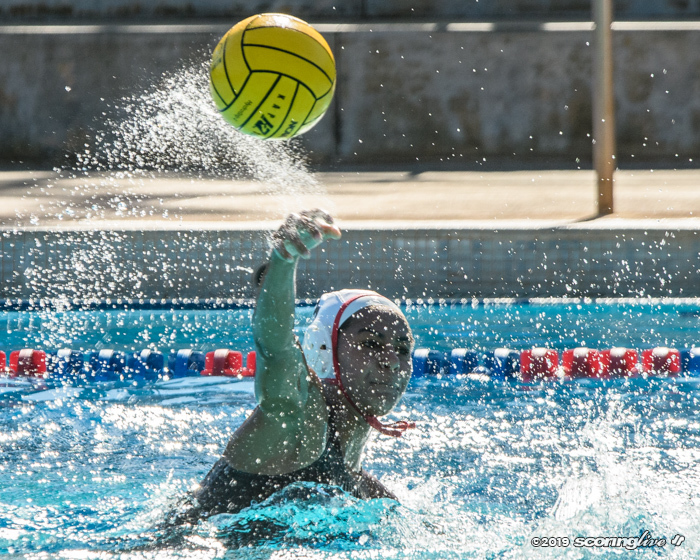 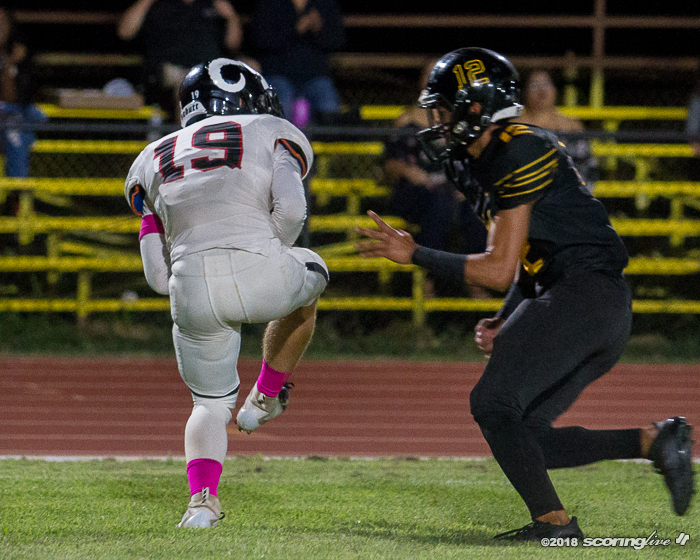 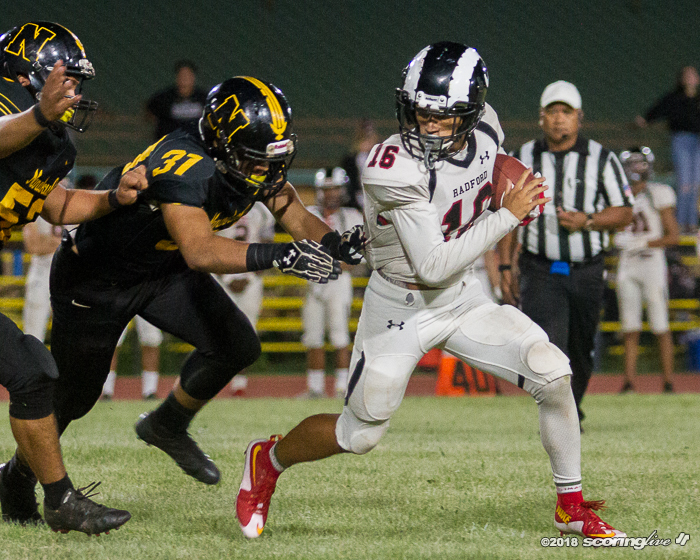 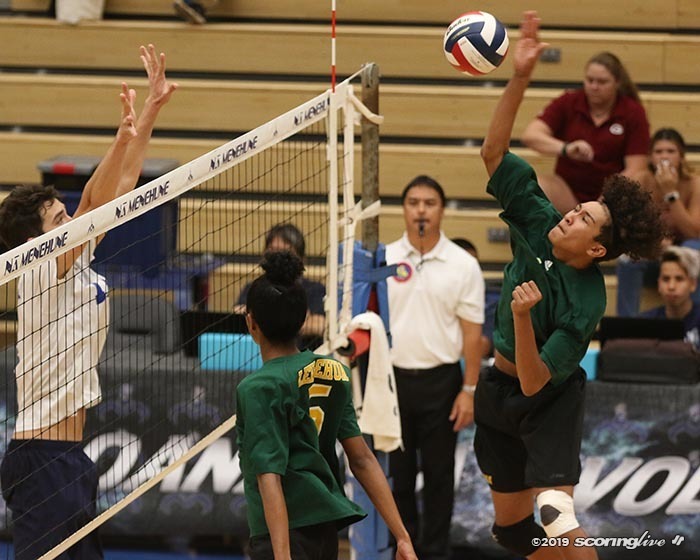 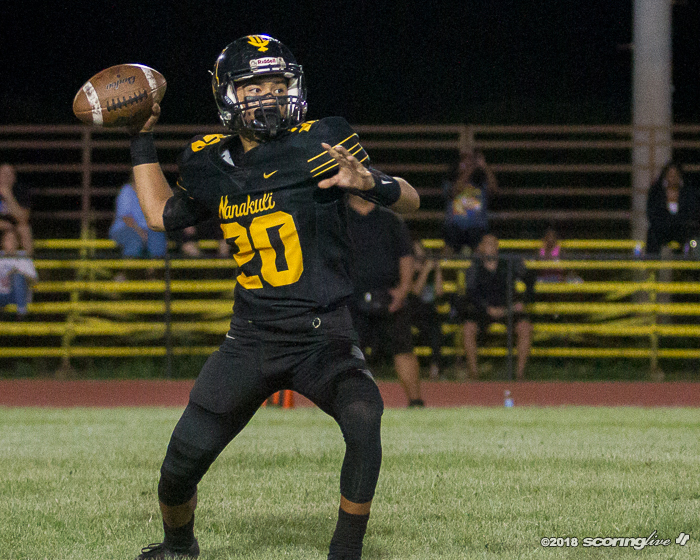 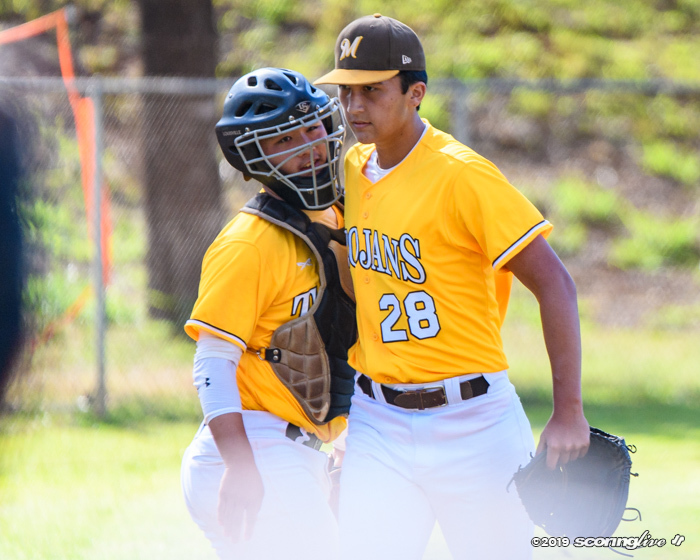 Nanakuli dropped its 15th game in a row and dropped to 0-9 and 0-6 on the season.